We teamed with the healthy salad company, sweetgreen, with The Big Quiet Mass Meditation + Music Tour, to build community with influential leaders within and outside of the health and wellness space. We created experiences in NY and LA, gatherings of 50 purpose-forward influencers in each city, new leaders who are leading with values like empathy, balance, and being of service, using their platform to make an impact on their community. 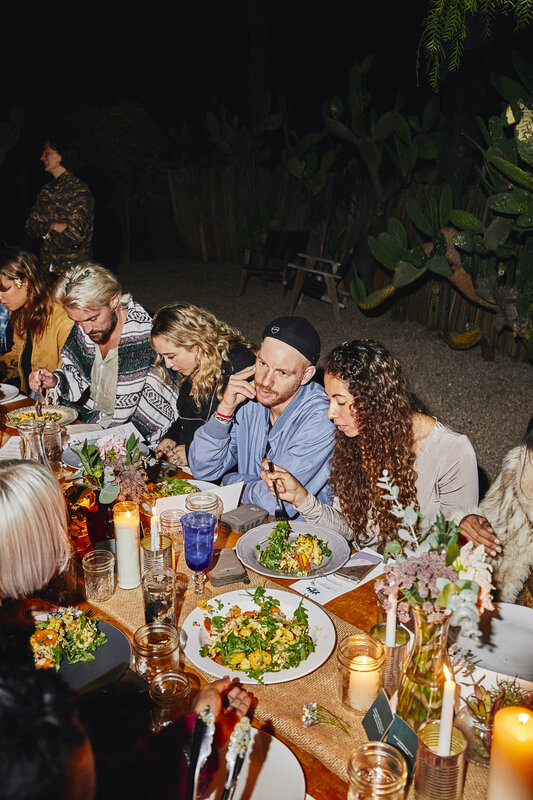 Over a collective meditation, live music, and family-style meal created by sweetgreen's chefs, guests connected with one another around shared values and discussed ideas for a brighter future.